Turk Telekom Ankara won its second game in a row by holding off Partizan NIS Belgrade 77-72 on Wednesday in the Turkish capital. 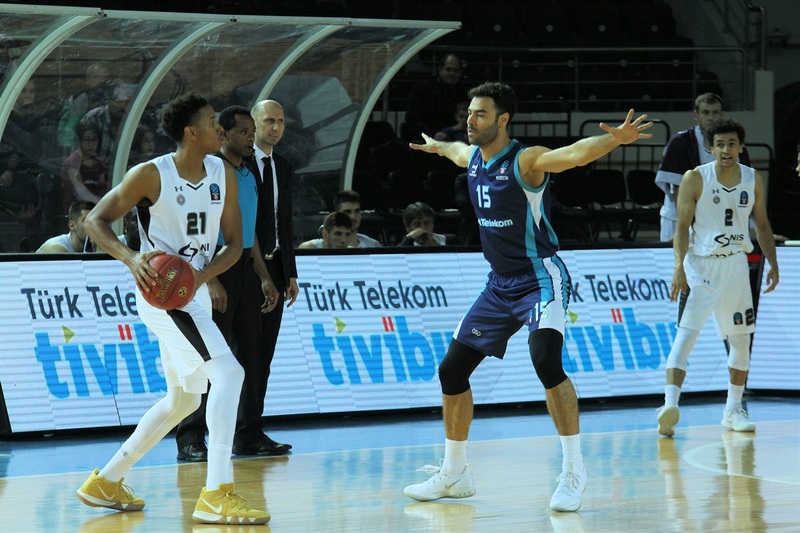 After losing its first three games of the season, Turk Telekom is now 2-3 and in the thick of the Top 16 hunt, while Partizan lost its third straight game to fall to 1-4. Kenny Gabriel paced the winners with 16 points, T.J. Campbell scored 13 and Sylven Landesberg and Vladimir Stimac added 12 each. 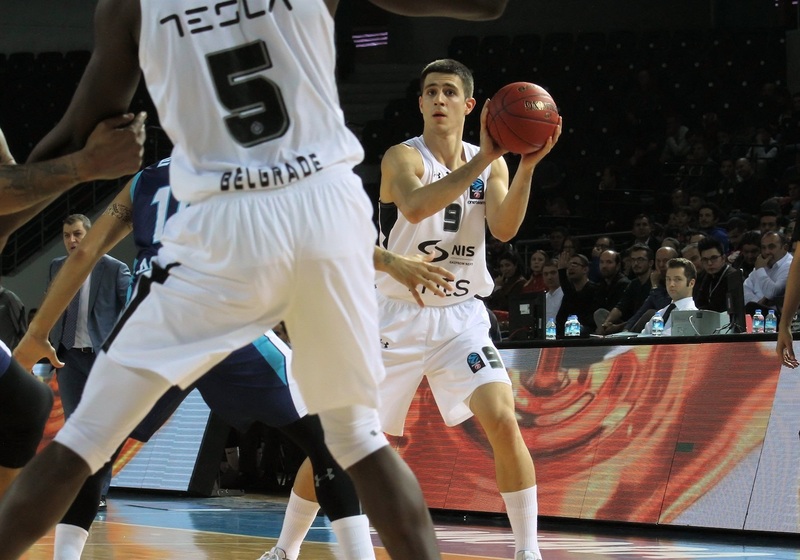 Vanja Marinkovic led Partizan with 28 points and Marcus Paige scored 14. Partizan outrebounded Turk Telekom 32-40, including 13 offensive boards, but paid a price for its 15 turnovers. 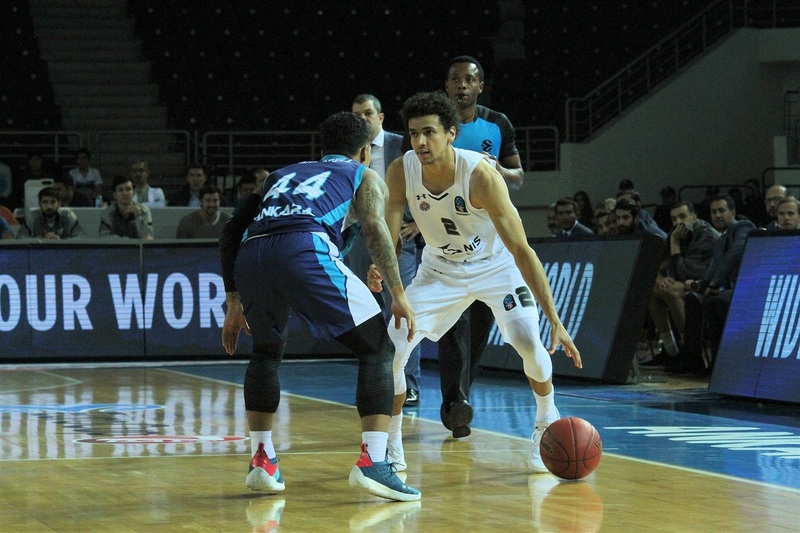 Turk Telekom scored the game's first three baskets and surged to 17-9 on a second-chance Gabriel three-pointer, which prompted a Partizan timeout after six minutes of action. Gabriel connected twice more from downtown before Landesberg's jumper gave the hosts a double-digit lead. Yunus Sonsirma's three-point play high off the glass ended the first quarter with Turk Telekom in total control, 28-14. The home side scored the first 7 points of the second quarter as the lead continued to grow. 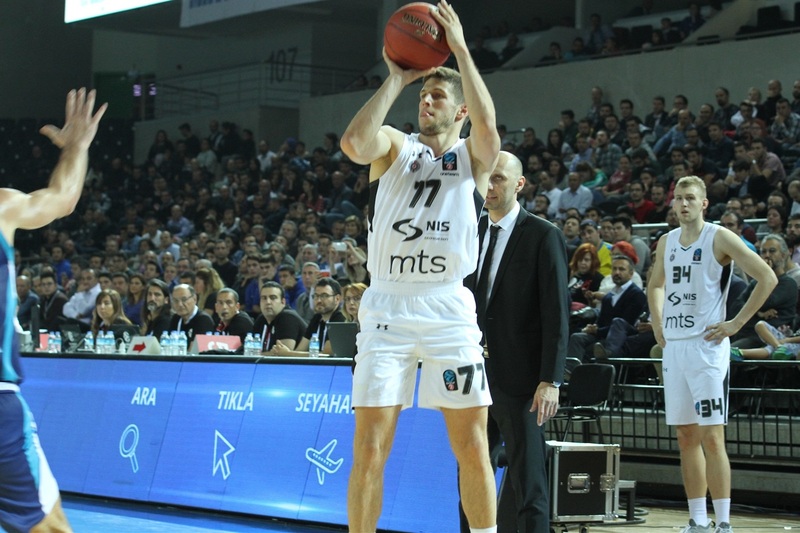 Marinkovic scored 5 quick points to give Partizan hope at 37-21. Marcus Paige and Marinkovic teamed up to further trim the deficit to 12 and the margin stood at 46-32 at the break. 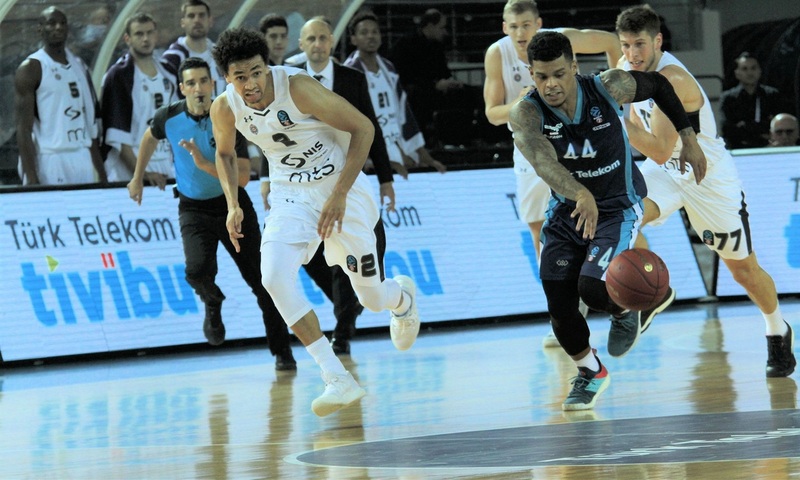 Partizan again battled to within 12 on a Marinkovic steal and score, but back-to-back triples by Serhat Cetin and Campbell kept Turk Telekom cool. 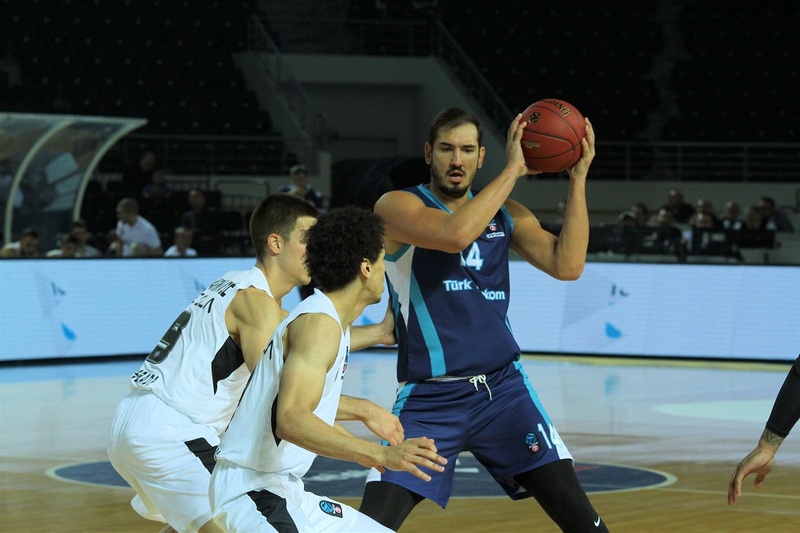 Turen's second three of the game reestablished a 20-point Turk Telekom lead, however Marinkovic and Jock Landale teamed for all the points in a 0-10 Partizan run that the latter capped with a slam that made it 62-52 through three quarters. Neither team scored in the first two minutes of the fourth quarter before Landesberg sank a three-pointer. However, Partizan stayed close and Paige made it 66-58 with a basket-plus-foul with more than five minutes remaining. 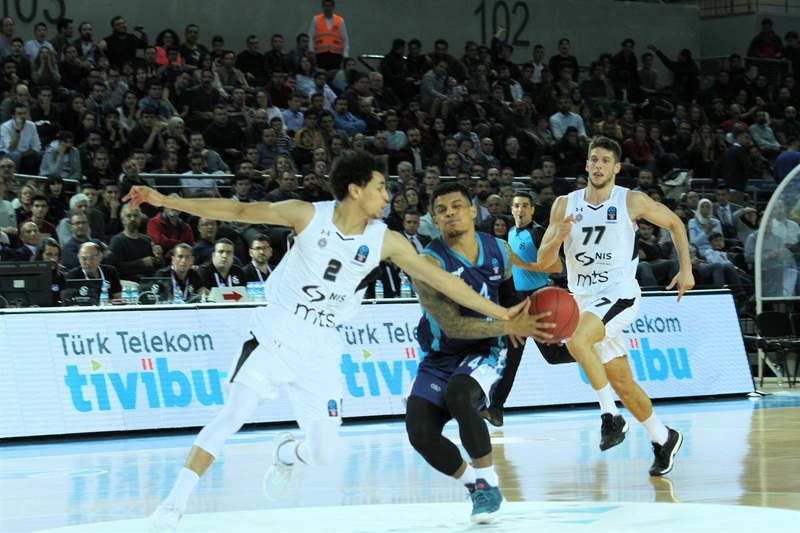 Scoreless until midway through the fourth quarter, Ender Arslan's layup and free throws helped Turk Telekom remain in control late and although Partizan continued to fight, the outcome was never in doubt. 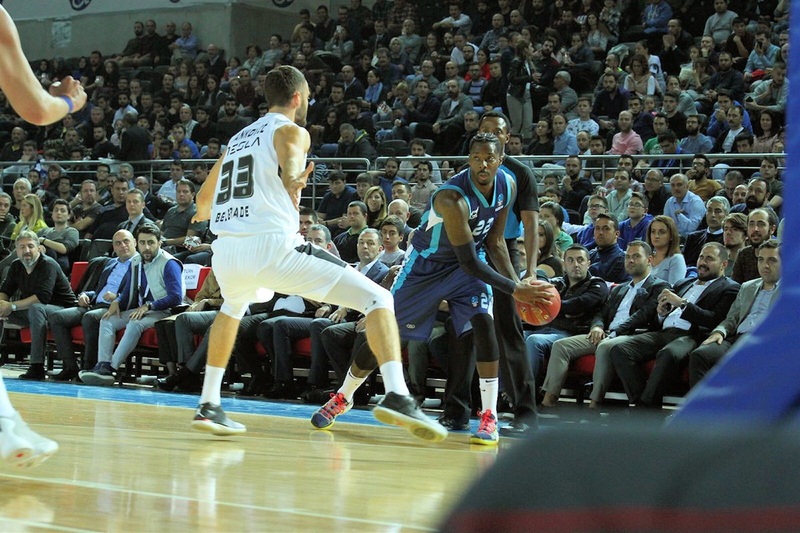 Turk Telekom took control of the game by keeping Partizan scoreless for several minutes at the start of each quarter. It was a 6-0 run over the first two-and-a-half minutes of the game and a 7-0 push over the first three-and-a-half of the second. Nearly two minutes passed before Partizan's first score of the third quarter and another two-and-a-half before its first basket in the fourth. Combine those opening stretches and you have Turk Telekom 21, Partizan 0 over 10 minutes of game time. Jock Landale delivered an impressive effort for Partizan and in doing so set the club record for rebounding in a EuroCup game with 14 boards. 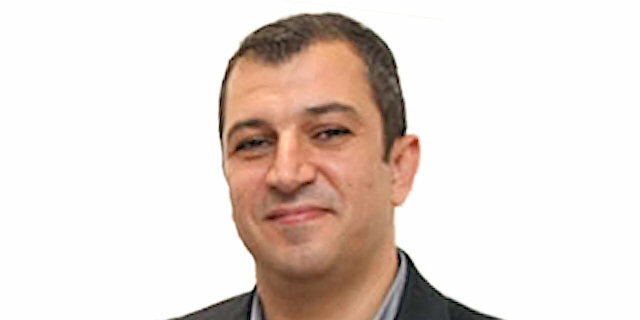 The previous mark of 12 belonged to Milan Macvan, who did so in 2014. Marinkovic tied the club scoring record with 28 points, equaling Nigel Williams-Goss's output from a game last season. Turnovers always have an impact on games, but what matters most is what you do with them. Partizan turned the ball over 15 times and Turk Telekom did so 10 times. However, Telekom turned its opponents lost balls into 23 points, while Partizan generated only 6 points off turnovers. Turk Telekom remains home next week for a Tuesday clash against Zenit St. Petersburg that could see it climb into third place. Partizan heads home for a showdown with Dolomiti Energia Trento that is almost a must-win if it wants to reach the Top 16. "Everyone knows Partizan is a team with a lot of potential. They have players with a lot of potential. They are young and they fight all the way through. So we won the game and this is very important for us because we knew if we won this game we would have a chance until the end to qualify. Congratulations to my players. We played very hard, especially in the first part of the game. You can see Partizan is a team with a lot of potential. They played hard defense and we struggled in some of the inside positions. We won the game and we are very happy."